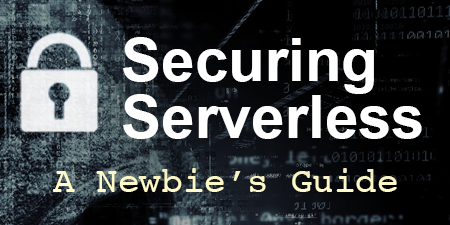 Last week we looked at the Serverless Enterprise Framework and explored a few serverless security trends. This week, we’re live at the Serverless Architecture Conference in The Hague, Netherlands (🌷 lots of tulips). There have been a number of great speakers so far, and since this is my first international speaking engagement, I’m hoping all goes well.🤞 Either way, we still have plenty of amazing content to share from the serverless community. Pre-warming serverless functions? What kind of nonsense is this? But seriously, I’m actually glad that AWS has pushed to eliminate the problem completely, rather than taking this approach. Though I think many AWS customers would still pay for something similar. If you’re using the Serverless Framework to build, deploy, and operate your applications on AWS Lambda, you can now use this new plugin to instrument your serverless applications with IOpipe. Yes, Lambda can do more than just respond to an API Gateway request. Alex Casalboni gives us four great Lambda use cases using Amazon Cognito, AWS Config, Amazon Kinesis Data Firehose, and Amazon CloudFormation. Interesting approach to implementing Step Functions with an “adapter” function in between steps. Anthony Chu shows us how to use Microsoft Azure Functions, the Azure Cognitive Services Speech SDK, and the Azure SignalR Service to build a speech translation application. DynamoDB allows ad tech companies to achieve a high request rate (millions of requests per second), low and predictable latency, and reliability without having to invest resources in database operations. You’re Clouding — But are you Clouding Properly? If you’re not fully taking advantage of serverless, then Abner Germanow might disagree with you. Derek Woods shows you how to set up an SQS queue, send a message, and process it with a worker. Learn to embrace asynchronous operations for more stable applications. Angela Razzell shows you how to optimize warm starts when connecting AWS Lambda to other services. Serverless cloud – Is it for everyone? Daniel Kroening, a professor of Computer Science at Oxford University, argues that the best way to adopt a serverless strategy is to weave it into existing setups. I don’t disagree. This tool by Danilo Poccia is absolutely amazing. Thanks to Ory Segal for pointing it out to me. Yan Cui and Lumigo published some more apps in the Serverless Application Repository that let you auto-subscribe log groups and update retention policies. Jeremy Edberg created a handy little script that will automatically create and stub functions just by reading your serverless.yml file. Very cool. This post will walk through everything from creating the API, writing the client code, and deploying a custom domain. Are your Alexa skills behaving correctly and answering quickly? Thorsten Hoeger shows you how to monitor each invocation of your skill function and trace calls to databases and third parties with Thundra. AWS AppSync now supports calling AWS services via HTTP data sources with auto-generated sigV4s. Josh Kahn shows you an example of how to implement long-running queries. I love math. Javier Martin shows us how to use metric math to create an error rate expression that only triggers CloudWatch alarms when a percentage of failed Lambda functions reach a certain threshold. Ory Segal sits down with Amit Klein to talk about how the move to serverless architectures, microservices, and the heavy reliance on cloud services, are changing the application security world. The team over at Nuweba put together a whitepaper that debunks a lot of the FUD around serverless security. They stress that application level security is what really matters. PureSec recently made some updates to the PureSec API, which they say makes it easier than ever to automate the protection of your serverless applications. Maybe not the best analogy, but I think the point that Protego was trying to make has some merit. 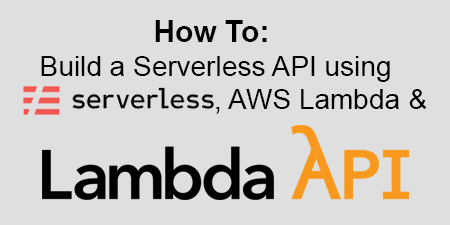 Aphinya Dechalert outlines the lessons learned when switching from an EC2 -styled set up, to a serverless architecture that utilized Lamdba, API Gateway and S3. Yan Cui argues for single-purpose functions with fine-grained security controls. You should listen to him. Ed Lima really likes AppSync, and he wants you to as well. This post outlines two architectures that will help you achieve millions of real-time requests per day. Does AWS Lambda grant you more cores with more memory? Björn Raupach ran an experiment and was apparently disappointed. This held my interest up until the point where it mentions multi-cloud. Marcia Villalba (pronounced VI-SHALL-BA 😉) added a couple of videos to her FooBar Serverless monitoring series. Checkout the new videos covering the Dashbird and Epsagon. AWS shutdown their final Oracle database instance, and apparently it was a big deal. The video shows the team’s enthusiasm, but what’s missing is the followup video of them beating that Oracle piñata to death. You are no longer billed for streams resources used by global tables for replicating changes from one replica table to all other replicas. Create dashboards that update automatically as new resources are created that match the search query, providing up-to-the-minute visibility with reduced operational overhead. New support for auto-interval date histogram, conditional token filters, and early termination support for min/max aggregations. And don’t forget that you can do in-place version upgrades. Now, only those with authorized access to your domain’s certificate can add your domain to a CloudFront distribution as an alternate domain name. AWS customers that work with highly sensitive, encrypted data can now easily enable Comprehend to work with this encrypted data via an integration with the AWS Key Management Service. April 10, 2019 – The Serverless Architecture Conference is in full swing in The Hague, Netherlands. Tomorrow I’m giving two talks and speaking on a panel. April 11, 2019 – ServerlessDays Zurich. 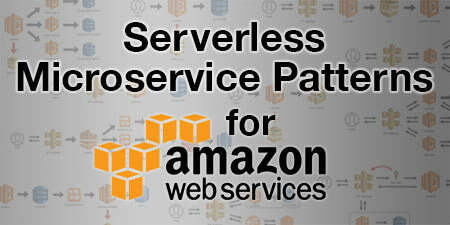 April 17, 2019 – Serverless Observability Workshop presented by AWS and Epsagon. April 25, 2019 – ServerlessDays Helsinki. Every day that I’m part of this amazing serverless community, I become more and more passionate about the future of cloud computing. All of these conferences are great for sharing ideas and spreading the word, but now I’m hearing these stories of developers and organizations embracing serverless and excelling with it. Not just saving money, but building better systems faster, and focusing on core business value rather than wasting time on the things that don’t matter. This is having a huge impact on software development, and seeing this potential is the reason why I started writing this newsletter. Even if you start small, the path to serverless will start generating an immediate return.